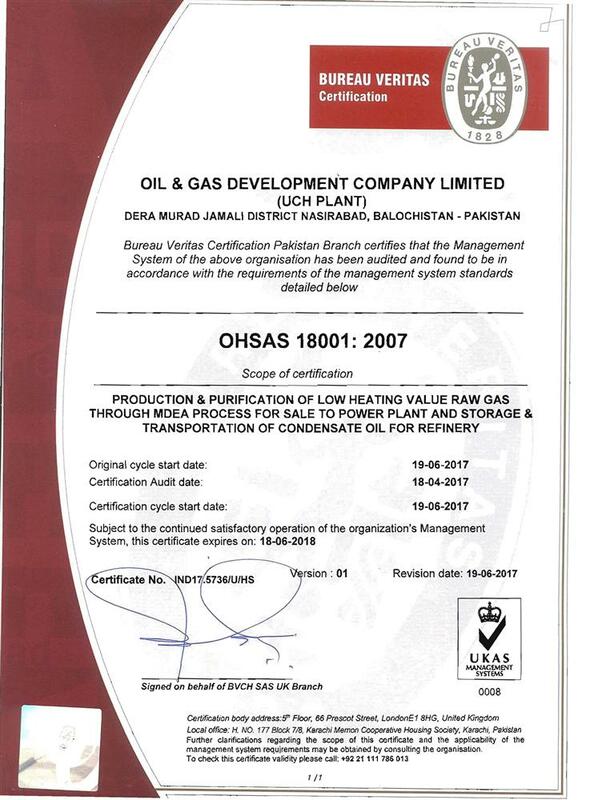 OGDCL has DEVELOPED AND IMPLEMENTED THE HSE SYSTEM to improve its HSE performance and ultimately to reduce the adverse impact of its operations, activities, and services on 3Ps i.e. 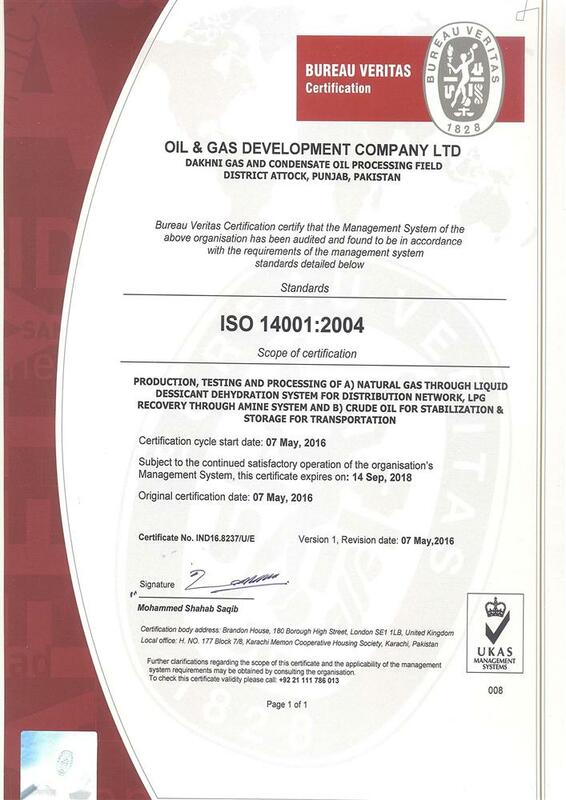 people, plant, and planet. 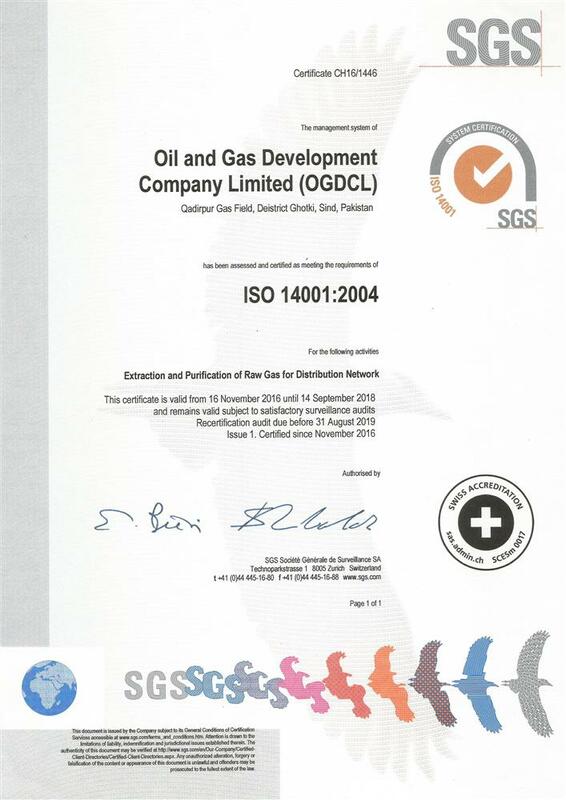 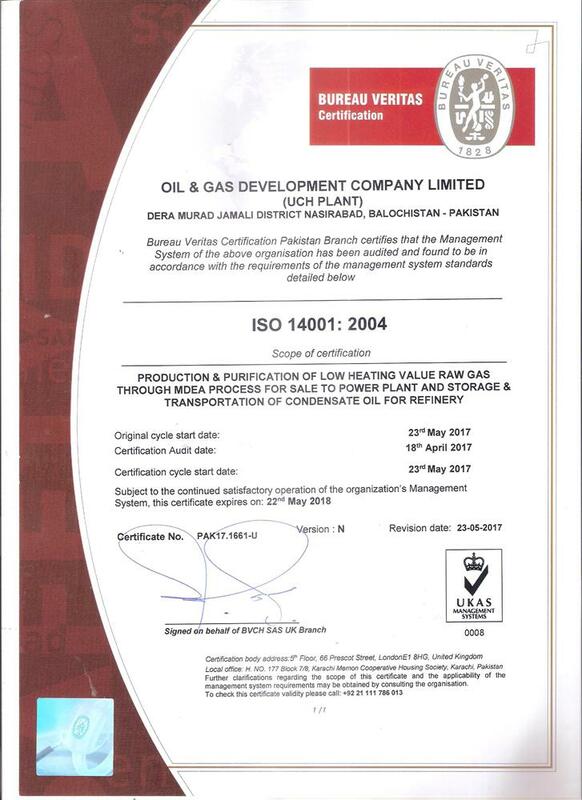 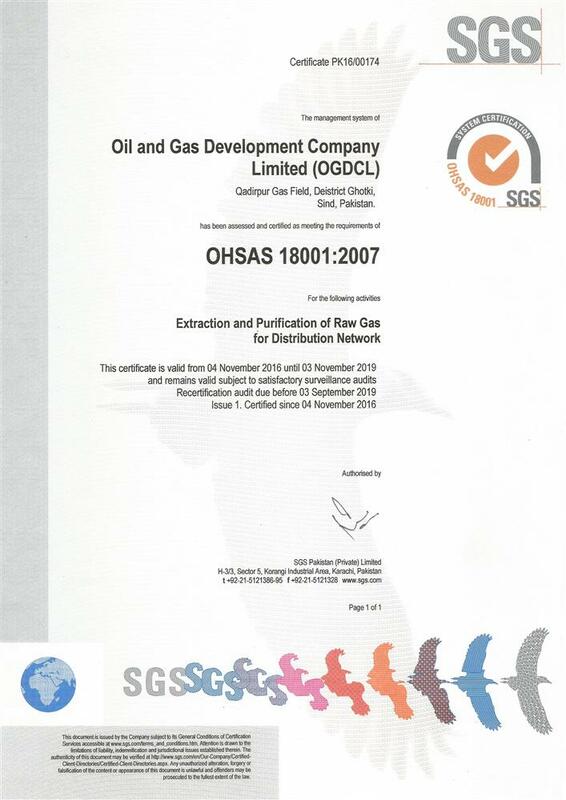 The HSE System of OGDCL complies with the latest revisions of international standards ISO 14001and OHSAS 18001and its scope covers the production field & plant functions. 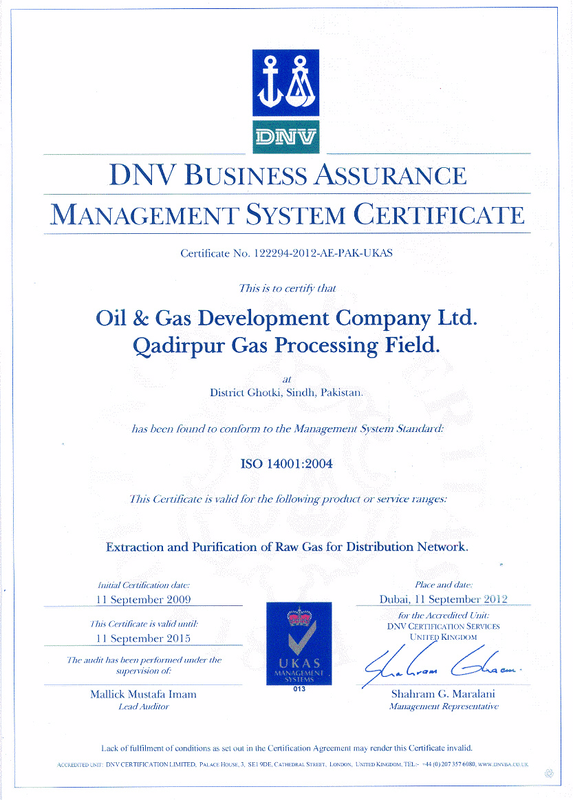 That’s why DHODAK AND QADIRPUR PLANTS/FIELDS ACHIEVED ISO14001&OHSAS18001 CERTIFICATIONS from the Business Assurance Wing of M/S DNV. 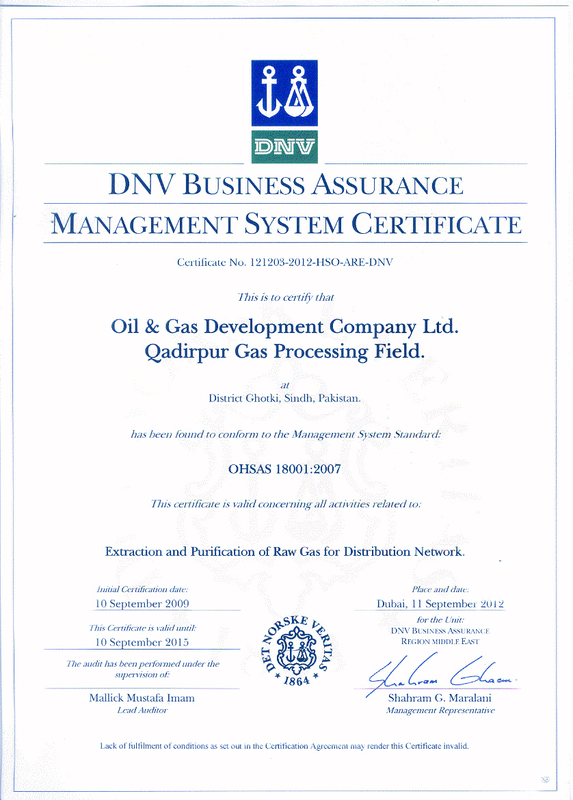 Recently DAKHNI and CHANDA fields achieved ISO14001&OHSAS18001 CERTIFICATIONS from M/S BUREAU VERITAS. 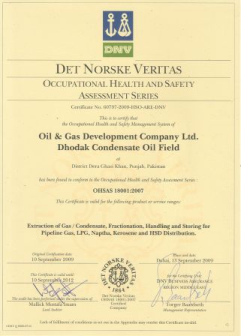 After the successful ISO14001&OHSAS18001 Certification of Dhodak, Qadirpur, Dakhni and Chanda, UCH field is the next corporate target as approved by management. In order to achieve this milestone, ROADMAP HAS BEEN DEFINED FOR THE ISO14001&OHSAS18001 CERTIFICATION OF OTHER THIS FIELD by arranging special Training, Awareness & Consulting sessions. 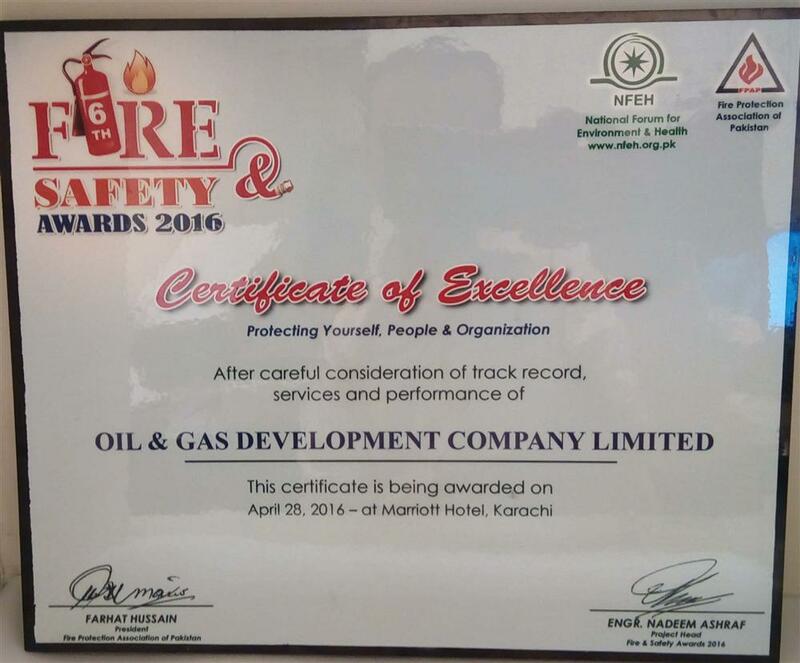 OGDCL has won NATIONAL FORUM FOR ENVIRONMENT AND HEALTH (NFEH) ENVIRONMENT EXCELLENCE AWARDS CONSECUTIVELY on account of its excellent environmental initiatives and successful implementation of environmental management systems at major sites. 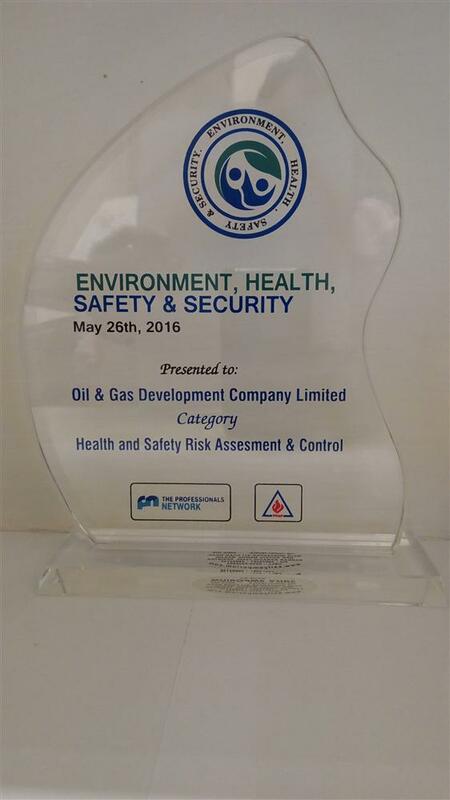 The National Forum for Environment and Health (NFEH) organized the Annual Environment Excellence Awards. 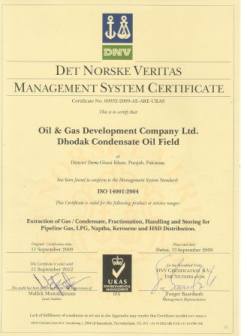 NFEH is affiliated with the United Nations Environmental Program (UNEP) and supported by the Ministry of Environment, Government of Pakistan, Ministry of Environment, Government of Sindh and Federation of Pakistan Chambers of Commerce & Industry. 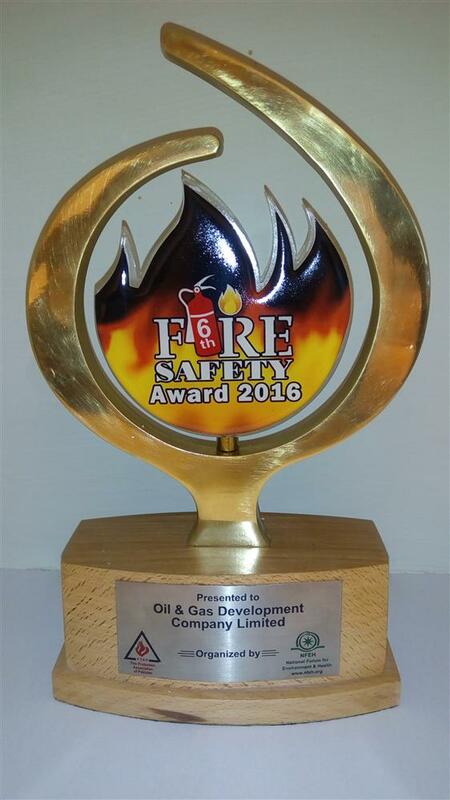 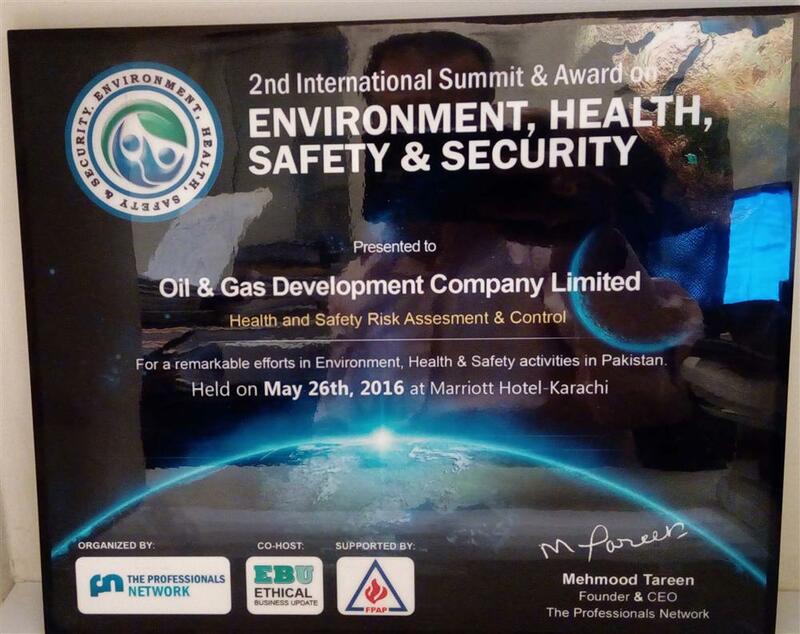 OGDCL won the 13th Annual Environment Excellence Award (AEEA 2016), held under the National Forum for Environment & Health (NFEH) on 30th August 2016, on account of its excellent environmental initiatives and successful implementation of environmental management system at major sites. 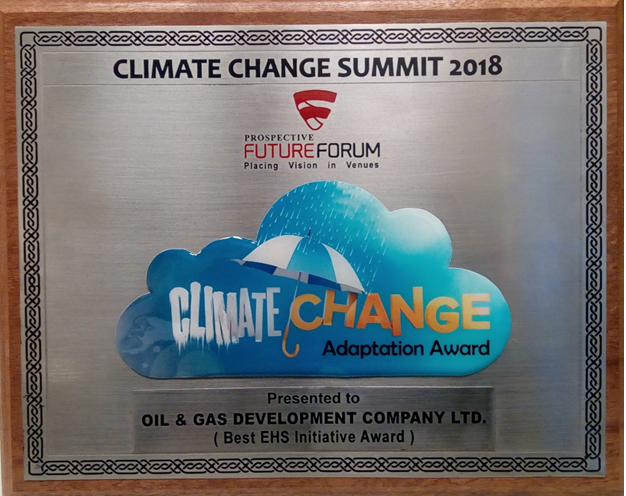 OGDCL wins “Best EHS Initiative/Climate Change Adaptation Award-2018” on the account of its outstanding contribution and best initiatives towards HSE arrangements in well organized manner.